The world of multiplayer video games could change forever thanks to Epic Online Services. The era of cross play is upon us. Yesterday’s State of Epic keynote at GDC 2019 had a lot of great announcements. One that hit close to my heart was the news of Epic Online Services being made available to developers for free. 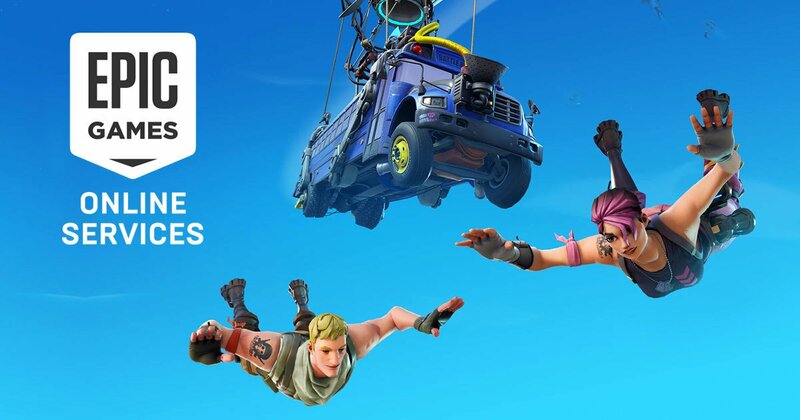 Now all devs can use the framework that enabled Fortnite to reach 250 million players across consoles, PCs, and mobile devices. This is a great moment for creators of multiplayer online experiences. Epic is truly disrupting the industry and redistributing the wealth and knowledge they have gained from the success of Fortnite. The company was the first game developer to convince Sony to open up cross-platform multiplayer gameplay to rival consoles last year, and they are carrying that breakthrough even further with their announcements at GDC 2019. The Epic Online Services software developers’ kit is available now for devs to get their hands on. Head to the developer portal to check it out today. The new online multiplayer gaming platform will support any engine and any store. Developers will not be required to use an Epic account for authentication purposes. The platform will be open and enable devs to take huge steps forward when building cross-platform gaming communities. Epic Online Services will include in-game cross-platform voice chat, as well. This new platform really appears to disrupting several areas of online gaming. It will be interesting to see how developers implement this new platform, and it is great to see Epic Games sharing the Fortnite wealth. Epic Games is leveraging the success of Fortnite as a cross play phenomenon in an amazing manner. The announcement of Epic Online Services provides a world of opportunities for game devs working on multiplayer experiences. The massive addressable market of Fortnite is now available for any developer with this brand new platform. Epic Online Services will be a literal game changer for devs. Epic Games did a lot of the heavy lifting for developers as they have fine-tuned Fortnite over the years. This new, polished service will likely be welcomed by developers with open arms. It is an amazing time to be a player of multiplayer games and Epic Games is making sure that the future will be just as bright. It will be hard not to give them the 2019 Do it for Shacknews Award given this huge step forward for cross platform multiplayer announced today at GDC 2019. Developers can now implement all sorts of great features with Epic Online Services for free and across any storefront or engine. It will be awesome to see where this technology will take gaming over the next few years, and Epic deserves kudos for taking this huge step forward from cross play. This could very well be the dawning of the cross play era for multiplayer video games. What a time to be alive.